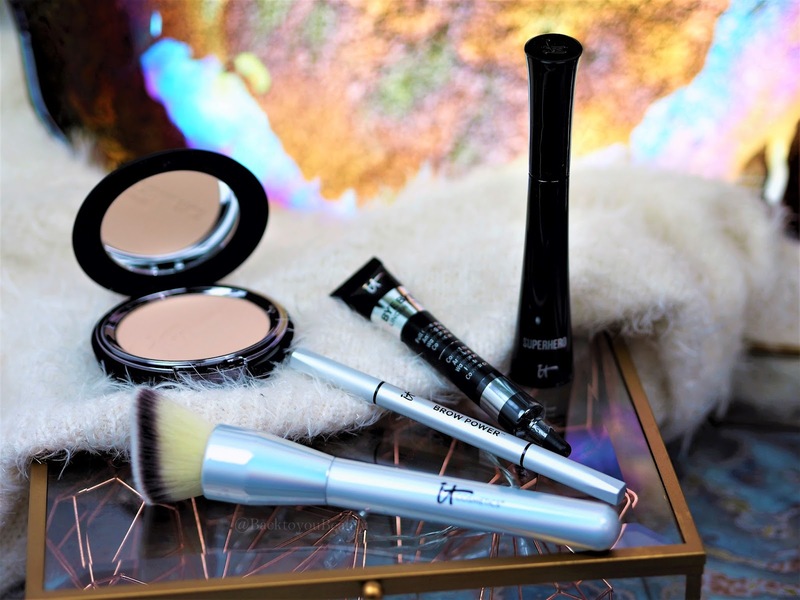 As you may be aware, I am a HUGE IT Cosmetics fan and have featured it on the blog for two years. I love the lady behind the brand, the ethos of the brand and most importantly how the products look and perform on my skin. From all your lovely feedback, I know you love it too, so I am thrilled to share this incredible five piece collection with you. Your top 5 Superstars Holiday Make Up Collection not only contains products that work on all skin types, ages and skin concerns but can also help improve your skin, whilst making you look and feel like your most beautiful you! For those of you that prefer the ease of a powder foundation, Celebration Foundation is a full coverage, talc free, anti-ageing formula. The anti-ageing aspects of this foundation, including Hydrolyzed Collagen, Hyaluronic Spheres, Antioxidants, Rose, Silk and Aloe, enable this formulation to blur away imperfections, pores and fine lines and wrinkles. As regular readers of my blog will know I am not usually a fan of powders to be honest, I tend to find that my dry skin doesn’t usually react well to them and I end up looking caked and dehydrated. 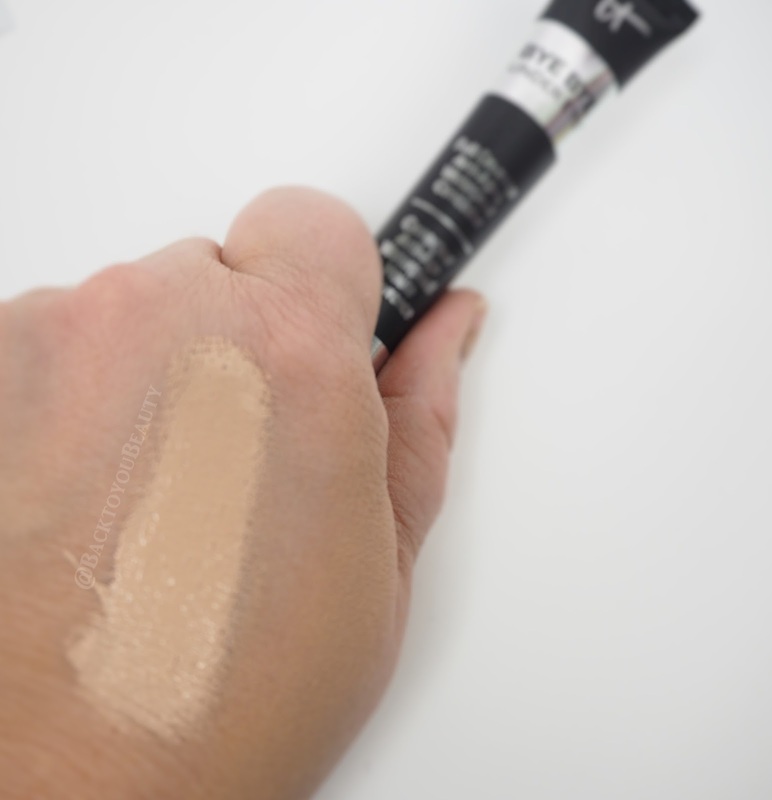 When I first tried this product a while back I was looking forward to trying what offered me an easy, fast route to flawless coverage. I always make sure my skin is well moisturised, primed and dry before applying any foundation, but especially a powder foundation as if your skin is not primed before hand it will end up looking very dry. I must admit the coverage on this powder is fantastic and is very quick and easy to apply. 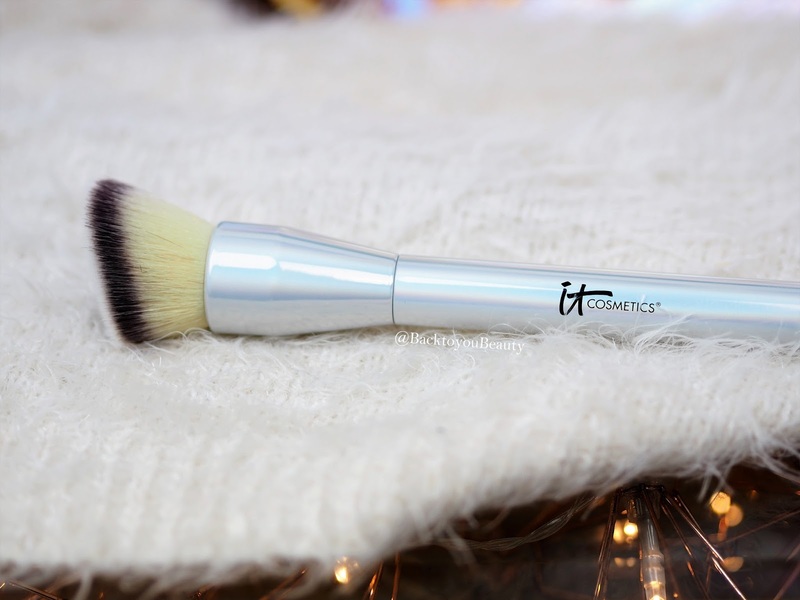 It does come with the softest, most gorgeous synthetic Angled Buffing brush which is perfect at stippling and blending this foundation to achieve the desired look. If you can bear to mess up the It Cosmetics logo in the powder, swirl your brush in the compact and give a little tap. Gently buff in sweeping motions all over the face until you achieve the coverage that you want. The pigment in this is full and coverage is brilliant. It always gives an airbrushed look to my skin and blurs my pores which I was originally very, very surprised about. I think this would also be great for an oily t-zone too or to use over an existing cream foundation such as my favourite It Cosmetics CC Cream, as it adapts really well to skin tone and just smoothes everything out. 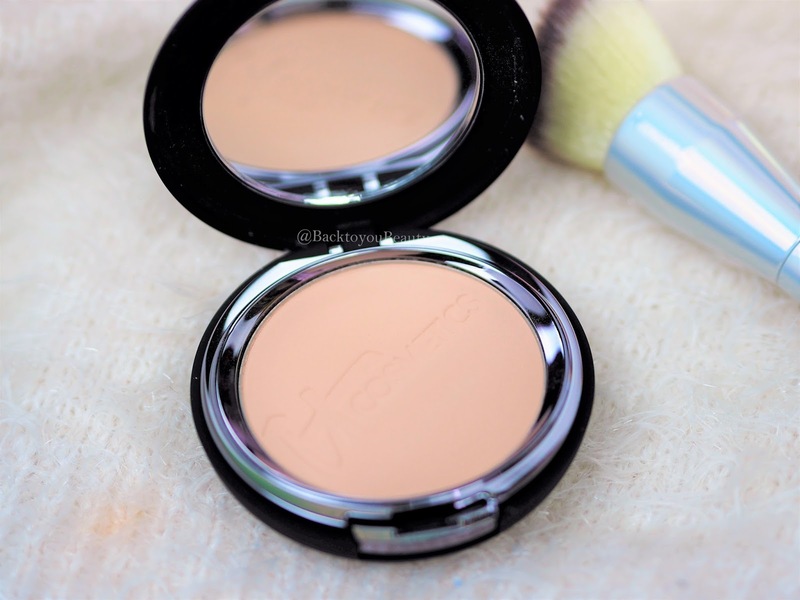 If you are a powder foundation lover, then this is a really great product. I enjoy wearing it, have had it in my kit for two years and use it often – mainly as a great setting powder. 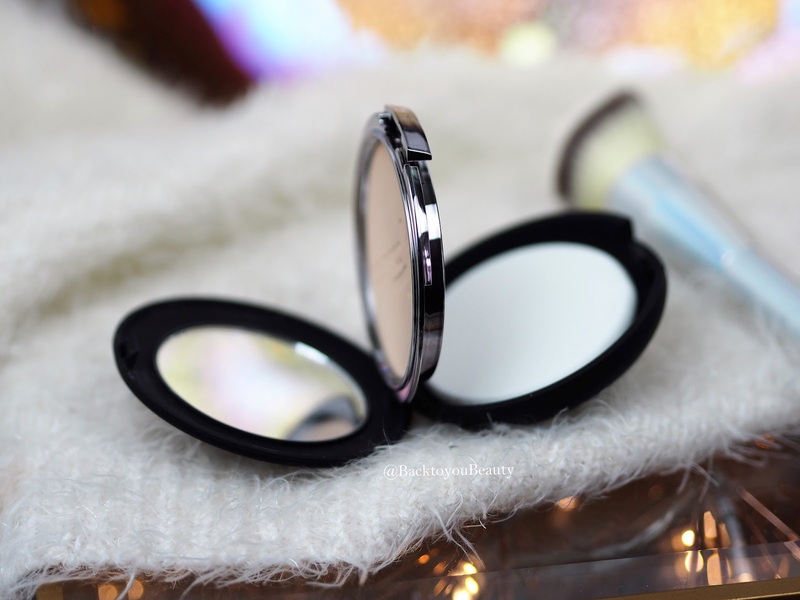 It has beautiful, soft touch packing, with a nice sized mirror inside and a little sponge for touch ups on the go. Celebration Foundation is available in 5 shades Fair, Light, Medium, Tan and Rich. Bye Bye Undereye is the award winning, best selling, globally iconic, full coverage, waterproof concealer from IT Cosmetics. Phew! Containing Collagen, Vitamin C and K not only will this product conceal any dark areas, age spots, pigmentation and blemishes, it will also hydrate the skin and brighten as it does so. The amazing thing about Bye Bye Under Eye is that as it sets it does not wrinkle, crack or crease into dry areas of the skin. My top tip would also be to make sure your skin, including your under eye area is always well moisturised and primed. Any make up on a very dry/dehydrated skin has to work so much harder so before you apply your base, always make sure your skin is prepped and primed. Now, it’s no secret that I am a lazy brow girl, and I know it sometimes shows. However, in being a lazy brow girl I have finally grown into my big bushy brows and become somewhat fashionable! If it can’t happen at 42 then when can it eh? 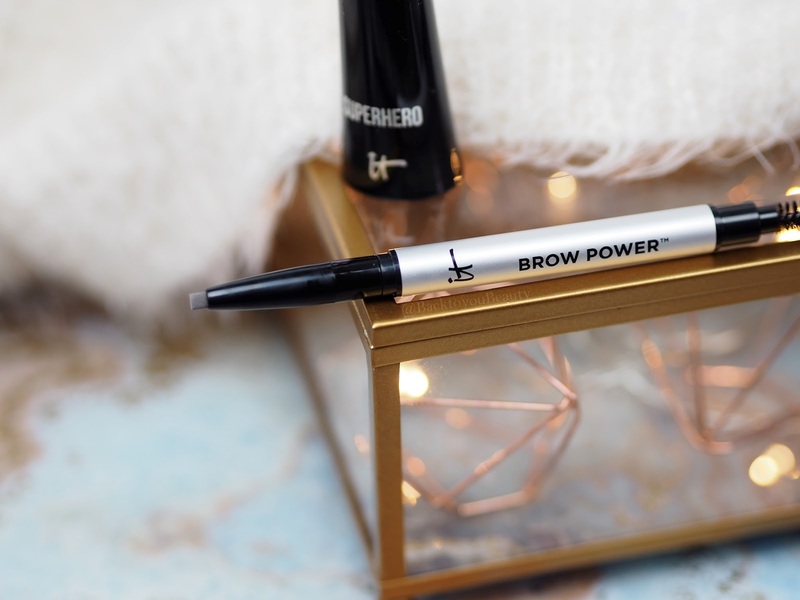 I tweeze, I use a spoolie and I apply brow gel but on a normal day,that’s as far as my brow game goes (don’t Judge) Then last year I tried Brow Power and I absolutely love it. The spoolie attached on the end is small and has super close, tight bristles (that I love) that brush through the brow perfectly, pushing product through the brows and combing them out. It is a lovely creamy pencil that blends in easily, allows you to apply the pressure you want, to achieve your perfect shade and lasts all day. The oval tip is great for both thick or thin brows allowing you to fill them in and create your perfect, natural looking brow. 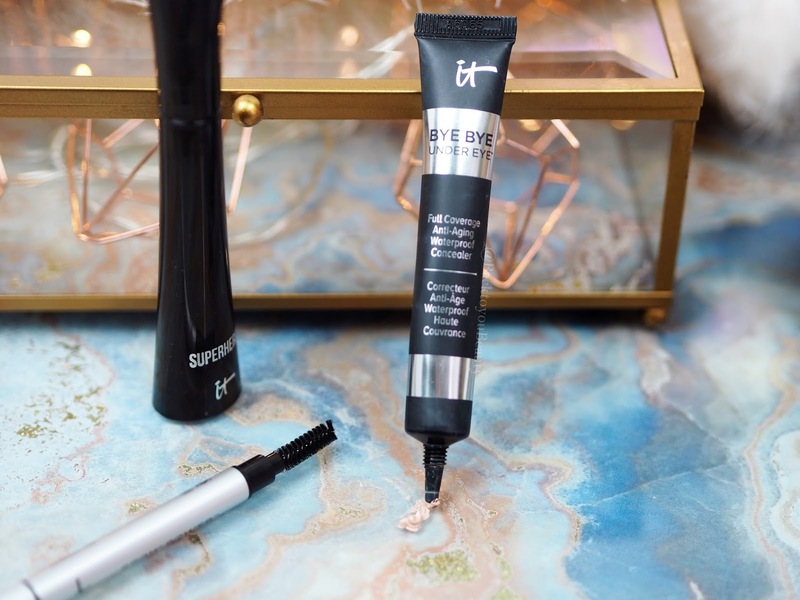 This award winning, iconic Brow Power comes in universal taupe and is retractable so no need for a sharpener. Now it really is time to throw away those false lashes!! 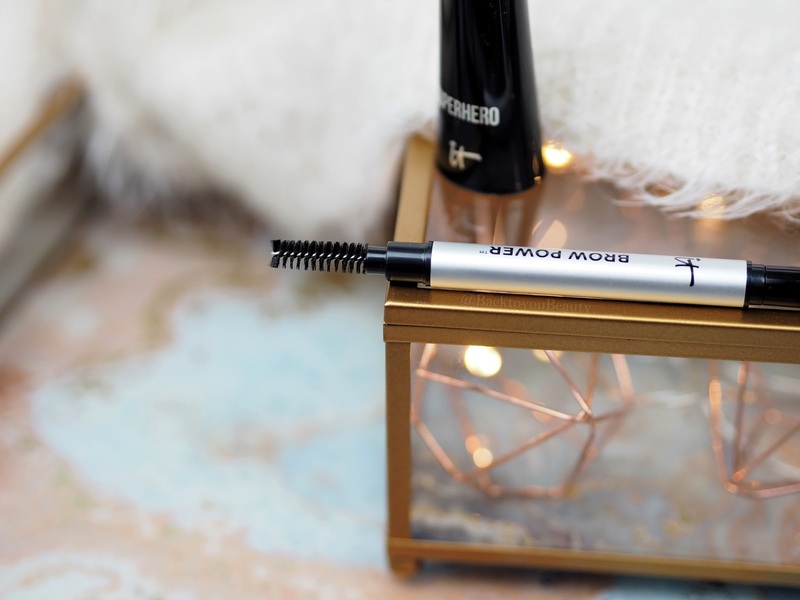 This product will certainly give your lashes some Va-Va-Voom! Not one for the faint hearted as you will certainly be making a statement in this!! Beautiful jet black mascara made in Italy, containing peptides and proteins that lift, lengthen and plump out your lashes! The brush head has brushes cut at all lengths to reach all the lashes that are growing at different lengths. 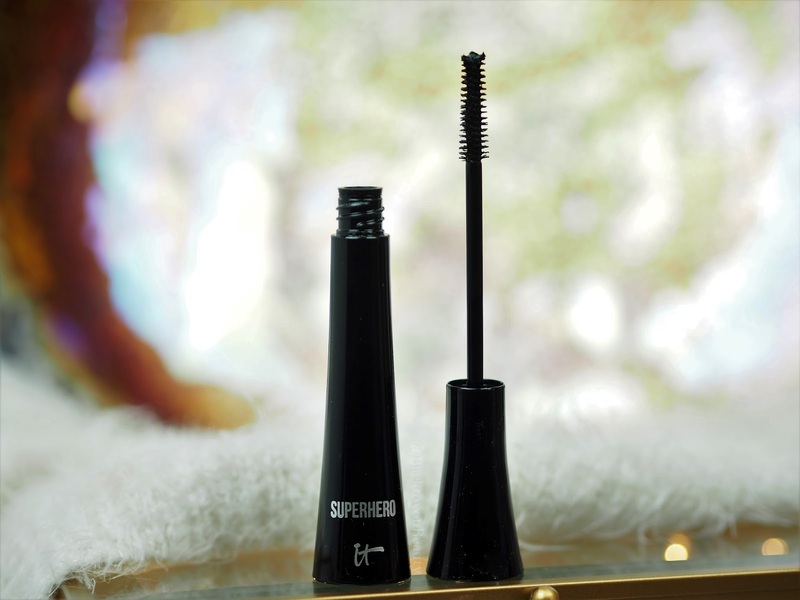 Clinically proven to increase your lashes by 500% on the first coat, this really does deserve its Superhero name and statues. My thoughts on this collection – This Collection from It Cosmetics really does tick all the boxes. Firstly it is perfect for anyone that has never tried the brand and wants to dip their toes in the It cosmetics water. Secondly it is a great top up collection for anyone, like me, that is already a fan of the brand and its products and needs to restock some of the ‘Basics’. Thirdly it makes a really great gift as it has everything you need to create a full face – just add lipgloss and you are good to go! 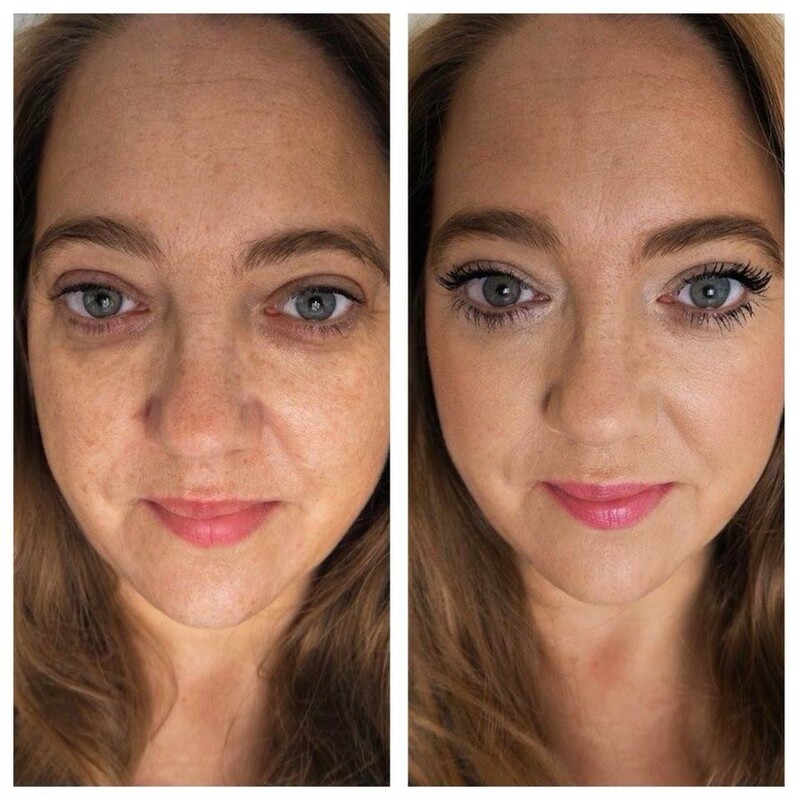 As you can see from my honest and untouched before and after below, the collection offers incredible coverage, but yet still leaves a natural look. The only addition in the after photo is the It Cosmetics Vitality Lip Flush in Je Ne Sais Quoi, everything else is in the collection. Have you tried It Cosmetics before? Which are your favourite products? I would love to know, do leave me a comment below. What a fantastic, informative review! You have definitely encouraged me to purchase it. Absolutely love trying new products – only thing I am unsure of is whether to go for the light or the medium as I am shocking at colour matching. I look forward to trying all of these products – not sure I would use the brow thing but I could sell or pass that on to somebody else. Thanks again! I’ve tried the bye bye under eye from this set and I love it. I haven’t tried any of the other products you have here but my fave It product is the bye bye redness – I’m on my third tub and it’s so good! I've just treated myself to the CC cream but, wow, that mascara is amazing! Seriously tempted to pick that up too. It is such a great kit! I've been loving mine!